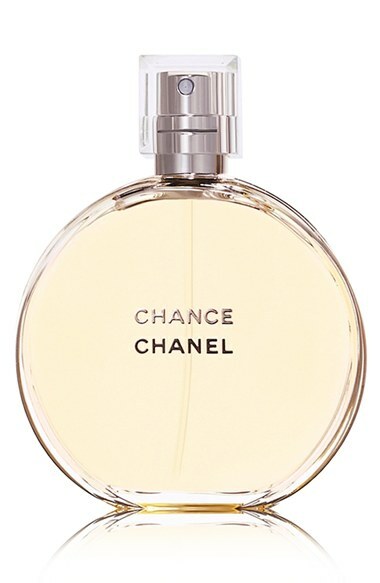 I absolutely love Chanel Chance and have been a longtime wearer of the fragrance. I am pretty sure I splurged on a bottle with my first paycheck from my first job out of college. As a rookie newspaper reporter, that probably meant I had to eat Ramen noodles for at least a month. But Ramen noodles always taste like filet mignon when you’re wearing Chanel. I used to wear it every day. Now I opt for a lighter, less expensive fragrance for days at the office and save this special bottle for the elusive date night or vacation. Every time I try a new fragrance I always conclude that nothing compares to Chance. It is fresh and youthful with just slight floral note. There is just something special about it. Maybe because I wore it on my wedding day and associate the fragrance with happy memories. 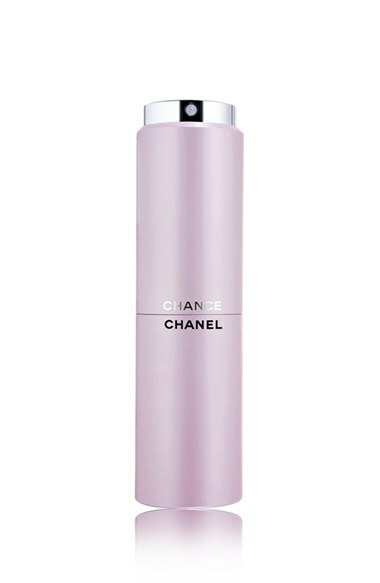 It now comes in this handy travel-size bottle that I definitely need to pick up. It comes with two 0.7-ounce refills that are a TSA-compliant size for throwing in your airplane carry-on. What is your favorite fragrance? Do you like to try a variety or do you stick to one classic? I’m a die hard fan of Victoria’s Secret’s Body by Victoria. I thought I needed a new scent but nothing compares to it! Hopefully they never stop making Chance and Body.